Is Cooking With Aluminum Foil Toxic? 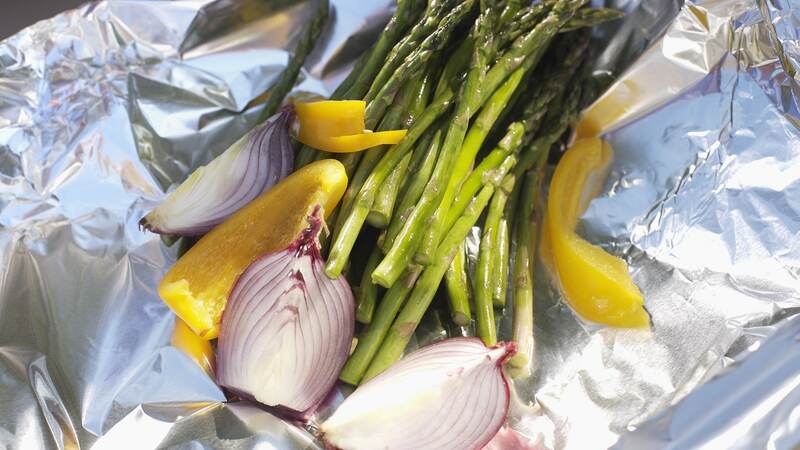 Honestly, most of us cook with aluminum foil without really giving it a second thought — even though in the back of our minds, we probably vaguely remember hearing somewhere that it’s not the wisest thing to do. Still, we wrap those baked potatoes, grill our fish and line baking pans with foil on a regular basis. But it’s really time to stop: According to a study from 2012, cooking with aluminum foil is toxic for you and poses extreme health risks. The study, published in the International Journal of Electrochemical Science, asserts that aluminum can leach from the foil into your food. It’s especially true for spicy and acidic foods, which is troubling considering how many of the foods we cook and grill in the summer are drenched in spicy, vinegary marinades. However, both the Alzheimer’s Society of Canada and the Alzheimer’s Association’s stance is that aluminum is not a risk factor for the disease. 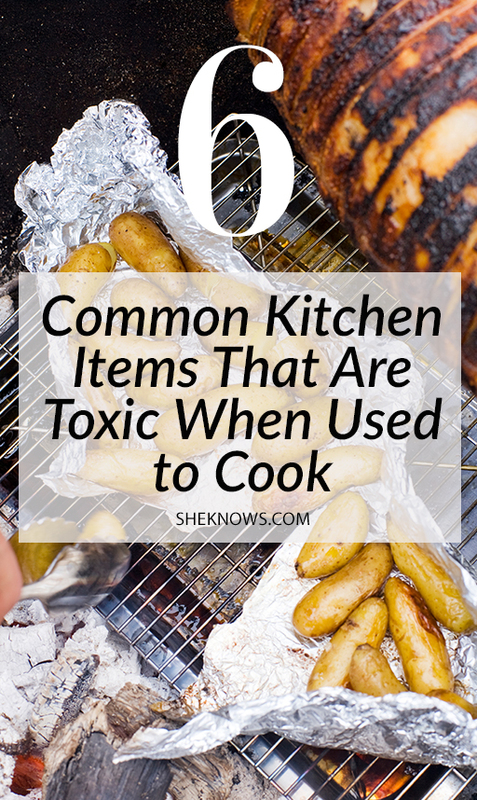 And while cooking with aluminum foil can increase the amount of aluminum in your food, the amounts are very small and deemed safe by researchers. In all, it remains unclear whether aluminum truly poses a risk for Alzheimer’s, but there’s no harm in being cautious. For instance, you can always use this hack: To make sure your food doesn’t actually come into contact with the aluminum foil, line the foil with parchment paper first. This way, you still get to enjoy the versatility and durability of foil, especially when cooking over high heat on the grill, but your food isn’t touching the foil itself, so no aluminum can leach into it. Unless your plastic wrap is marked “microwave-safe,” don’t microwave it — it could leach BPA and polyphenols into your food. It’s also recommended to ensure the wrap doesn’t touch the actual food. Again, unless a plastic container is marked “microwave-safe,” you’re better off heating your food in something else. Especially if you’re reheating oily or greasy foods, microwaving Styrofoam can cause it to melt. Plastic containers for yogurt, margarine, etc., aren’t made to withstand the heat of the microwave and can melt. Some mugs and ceramics made in the 1960s or earlier are glazed with substances that can leach dangerous chemicals into your food. They can also react badly to the heat of the microwave, leaving you with burnt fingers when you try to retrieve it. By avoiding the materials above, you’ll be able to heat and eat your favorite foods without having to worry that you’re eating toxins as well. And I think we can all agree that a fear-free snacking sesh is always a good thing.